The Holiday Inn NEW YORK CITY – WALL STREET has good rates, particularly in fall, winter, and early spring. Prices vary greatly by month and by day of the week. 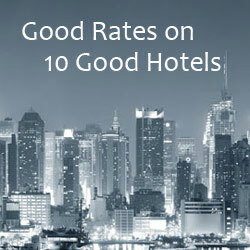 Some of the lowest rates are for Sunday stays. It’s worth checking them out. We found rates as low as $122. The hotel is located in the Financial District in Lower Manhattan at 51 Nassau Street. The Federal Reserve Bank is across Nassau Street from the hotel. The Stock Exchange building is three short blocks away. The 9/11 Memorial is also three blocks away. Things to see and do in Lower Manhattan include taking the boat out to the Statue of Liberty, walking Brooklyn Bridge, visiting Governors Island, taking the Staten Island Ferry, Circle Line Cruises, visiting the 9/11 Memorial, and more. The free Downtown Connection bus makes 37 stops around Lower Manhattan at about 10 minute intervals. Plus, you can always take the subway to other parts of the city. 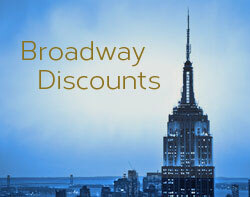 Visit TripAdvisor.com to see reviews and compare rates for the Holiday Inn New York City – Wall Street at TripAdvisor. Save money on hotel reservations at Travelocity.com with these promo code offers. Save an Extra 15% Off on Travelocity Hotels. (No Min Spend, No Min Stay) Use PROMO CODE: INSPIRE. Book by 7/18.